With more than 1.5 GW of projects executed worldwide, Axial Structural Solutions is one of the leading manufacturers of fixed structures and solar trackers for photovoltaic projects. For this reason, it wanted to be present at MIREC Week 2018, the most important forum on renewable energy in Mexico and one of the most important in Latin America. 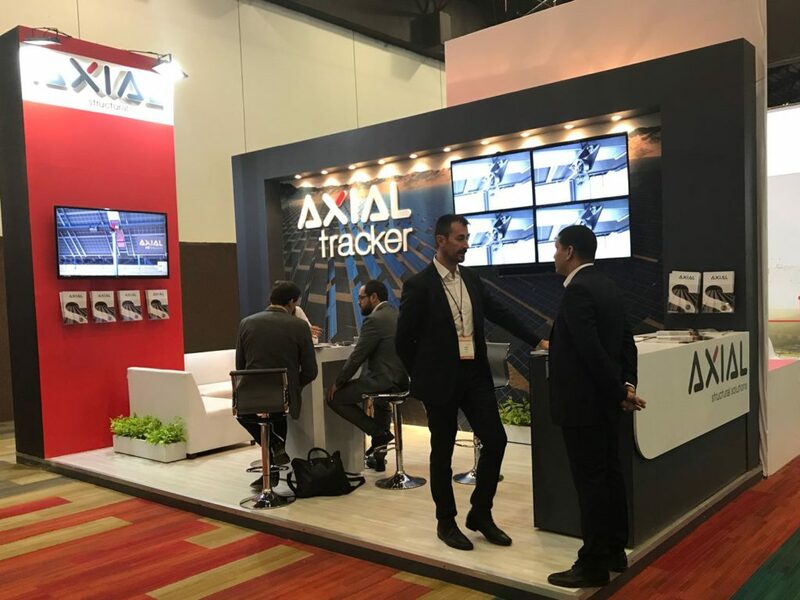 With a stand at which it was able to show the full potential of its flagship product, the ML AXIAL Tracker, Axial participated in this unique and transversal meeting, where all the agents involved in the production and distribution of renewable energies were present. The main objective of this event is to connect all the links in the energy chain with representatives of the financial, political and economic sectors in different working days, presentations and product presentations. Axial, leader in the design and manufacture of structural systems for photovoltaic installations, continues to expand in the Latin American market. After executing projects in countries such as Honduras, Chile, Bolivia or the Caribbean Zone, the company integrated in the Alonso Group has consolidated its presence in Mexico with the closing of orders for the AXIAL Tracker ML for a total power of 200 MW, becoming one of the main manufacturers for the Mexican market in the first quarter of 2018. The AXIAL Tracker ML solar tracker is the result of an intense stage of work by the R&D department, which has managed to create an adaptive system that can be installed on practically any type of surface, plant or project. Its intelligent tracking system is designed to achieve greater plant efficiency, in addition to preventing damage to equipment caused by adverse weather conditions. These features, combined with a very simple installation process and low maintenance costs, make the AXIAL Tracker one of the smartest options for designing the photovoltaic plants of the future.